Super seller! Super Deal! Thanks!! Thanks for swift delivery. Best price out there. Better than the Rest. 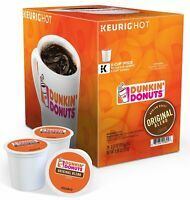 Dunkin Donuts Coffee. Bucks the Star out of the park. I can honestly say I've tried several dozens of K-cups, mostly coffee. I can honestly say that Dunkin Donuts has the best coffee-Hands Down!! Not too strong, not too weak. 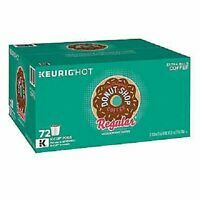 It's just right for my tastebuds and the K-cups are the perfect size for a person that only drinks one cup. Usually pricey, I found this to be a great deal! smooth and delicious, no acid effect.